'13 Reasons Why' followed Clay Jensen and his search to uncover the reasons behind his classmate Hannah Baker's shock suicide. Clay's character profile is complex as well and there is a lot to know about the young Liberty High student. 1. Who plays Clay on "13 Reasons Why" ? Clay Jensen is played by Dylan Minnette. The 21-year-old actor is an Indiana native who has previously appeared in shows like ‘Marvel’s Agents of S.H.I.E.L.D.’, ‘Grey’s Anatomy’, and ‘Scandal’. Dylan Minnette is 5 feet 6 inches, for your information. 2. How old is Clay Jensen? Clay Jensen is 17 years old. 3. What are Clay Jensen’s nicknames? Clay is called "Helmet" and "Astronomy Boy" by Hannah in season 1. He is also occasionally referred to by his surname "Jensen". 4. What grade is Clay Jensen in? At the beginning of season 1, Clay is a junior (11th grade) in high school. At the start of season 2, Clay will be a senior in high school. 5. Why is Clay on the tapes? What did he do to Hannah? While the others on Hannah’s tapes are there for specific actions against Hannah (sharing inappropriate photos of her, sexual assault etc), our protagonist explains that Clay is actually good and does not deserve to be on her list. "Clay, Helmet your name does not belong on this list. [...] You’re good. And kind. And decent. And I didn’t deserve to be with someone like you. I never would. I would’ve ruined you. It was me and everything that’s happened to me." 6. Which of Hannah's tapes is Clay on in "13 Reasons Why"? Clay Jensen appears on tape 6 side A. 7. What school does Clay Jensen go to? Clay attends Liberty High with the other main characters. 8. Why does Clay get suspended from school? In season 1, Clay gets suspended for 3 days after weed is found in his backpack during a search. The weed was planted by Marcus in a bid to make Clay keep quiet about the tape crew’s involvement in Hannah’s suicide. 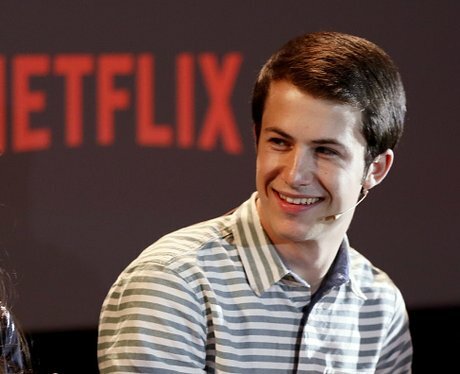 9. Who are Clay Jensen’s parents? 11. Who are Clay Jensen's love interests? Clay’s main love interest in season 1 is Hannah Baker. He has a crush on her and they even kiss at a party. Is does seem, however, that there is a spark between Clay and Skye which will likely be explored in season 2.